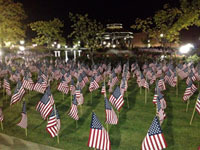 Cameron University’s Bentley Gardens was awash with more than 6,600 American flags, placed on display in conjunction with the university’s Veterans Day observance. The flags represent the military lives lost in Iraq and Afghanistan. 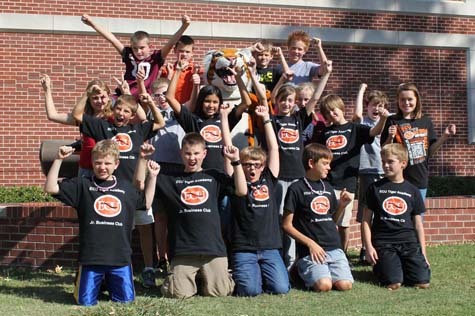 Local fith- and sixth-graders from Willard Elementary attended ECU’s Junior Business Academy. They raised more than $1,600, which gives them something to really cheer about. 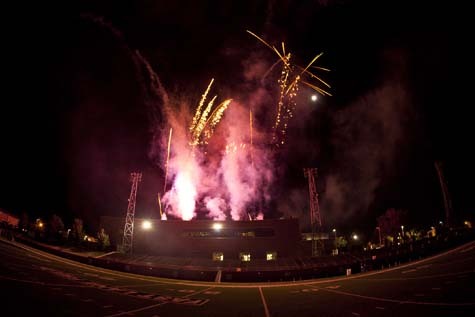 Fireworks shoot off the Wellness Center as Homecoming activities came to a close on the campus of Southwestern Oklahoma State University in Weatherford. Homecoming is always a special time on college campuses, and SWOSU had a huge attendance at all of its recent Homecoming activities.